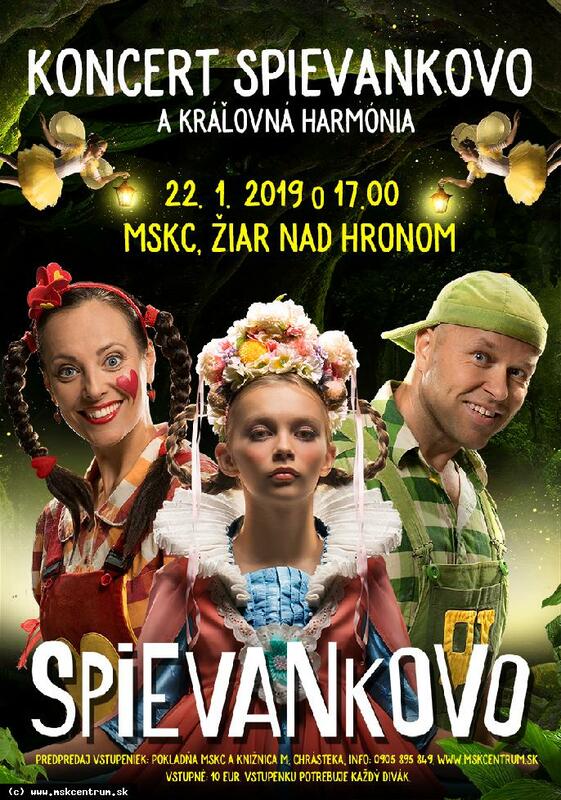 Unique interactive concert of Spievanka and Zahrajka full of fairy tale surprises in the form of beautiful songs from the film Spievankovo 6 and Queen Harmony. Meet the Queen Harmony and the characters who need your help in saving Spievankov! A concert full of music, dance and entertainment is waiting for you. We are looking forward to you! Each concert visitor must have a ticket. Important Notes! Your reservation is valid 3 DNI! After this date, the tickets will be released back for sale! 3 days before the event can not be booked via www.mskcentrum.sk On the day of the event, all reservations will be automatically canceled!